With the recent overnight stormy weather in the South China Sea, our beach in front of our PADI 5 Star IDC Dive Centre became the disposal point for marine debris from far & wide. 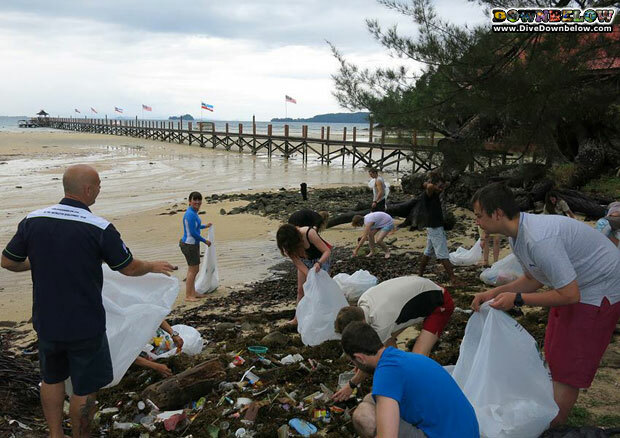 The Downbelow crew & our awesome conservation minded guests from the University of South Wales wasted no time in conducting a cleanup session to take care of the unwanted trash. Marine debris is a global problem but when people join together to tackle the situation it is possible to overcome it. We hope everyone will consider how much plastic waste we create, how it is disposed of & how you can reduce it!